Food flavours are benefitting from a surge in processed food consumption. Food processors are focusing on innovating flavours to meet evolving consumer tastes. The increasing demand from foodservice operators is driving expansion of manufacturing capacities, according to FMI’s study. The study further finds that processing of snacks, savouries, and seasonings are among the key categories driving demand for food flavor enhancers. Meat and seafood are the other key categories. According to FMI’s analysis, in addition to recording sustained adoption in food and beverage applications, food flavour enhancers continue to witness steady adoption in various pharmaceutical applications, especially oral care products. While glutamates remain the most sought-after food flavour enhancers, MSG demand continues to be healthy controversies surround its health impact. The ‘Chinese Restaurant Syndrome’ prevalent in Europe and North America has been linked to excessive presence of MSG in Chinese foods served at restaurants. 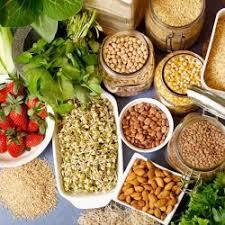 The report opines that demand for yeast extracts and hydrolyzed vegetable proteins is also picking up. FMI attributes this spurt to safety quotient associated with the latter two. Synthetic food flavours have traditionally outsold natural food flavour enhancers due to their easy availability and low cost. However, the cross-industry health and wellness trend has piqued sales of natural food flavour enhancers, with FMI’s analysis revealing that 4 out of 10 consumers now prefer naturally-sourced food ingredients. According to FMI, the rising trend of natural and organic is underpinning demand for plant-based flavour enhancers. As veganism expands, it is more likely that naturally-sourced food flavour enhancers will become mainstream in the future. This trend will particularly be observed among the expanding flexitarian and reducetarian consumer base in developed regional markets. East Asia, Southeast Asia, and the rest of APAC are the top markets for food flavour enhancers, holding nearly 55% share. China’s food flavour enhancers market continues to benefit from escalating packaged food consumption and sustained consumption of MSG (monosodium glutamate) by a majority of processed food manufacturers. According to FMI, strategic acquisitions of SMEs by global brands in food processing sector has resulted in a uniform, less diverse global landscape. Some of the top-tier companies continue to augment their investments in product innovation and production expansion. Acquisitions constitute the key developmental strategy to develop a diverse, enhanced product portfolio. FMI suggests that in line with growing demand for new product formulations, there has been significant growth in the number of R&D facilities owned by global as well as regional leaders. FMI’s report has tracked strategic profiles of some of the top companies in food flavour enhancer market, including B&G Foods Inc., Cargill Inc., Kerry Group, Sensient Technologies Corporation, Ajinomoto Group, Givaudan S.A., Archer Daniels Midland Company, and Koninklijke DSM N.V. among others.